Louise Hindsgavl (Personal show 2017). Andrew Casto (Ohio- USA, 1977) American artist Andrew Casto presents us with an investigation into the negative forces in our lives, and to what degree the phenomenological ramifications of responsibilities and stress shape us physically, mentally, and emotionally. 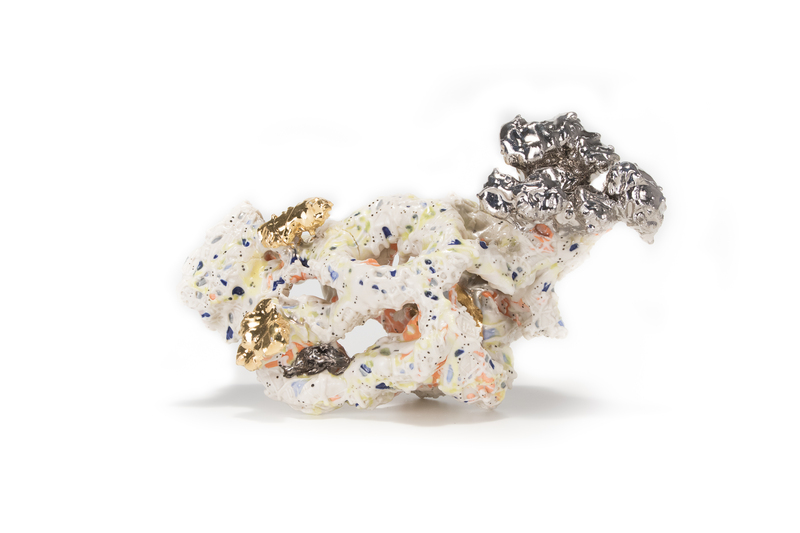 The formal language in this analysis is based on a material study of erosion and geological processes which have been translated into ceramic and mixed media objects, often with the use of porcelain and gold lustre. Casto: “ I seek a purposeful link between macrocosmic environmental change and interruptions in our otherwise routine existence’. 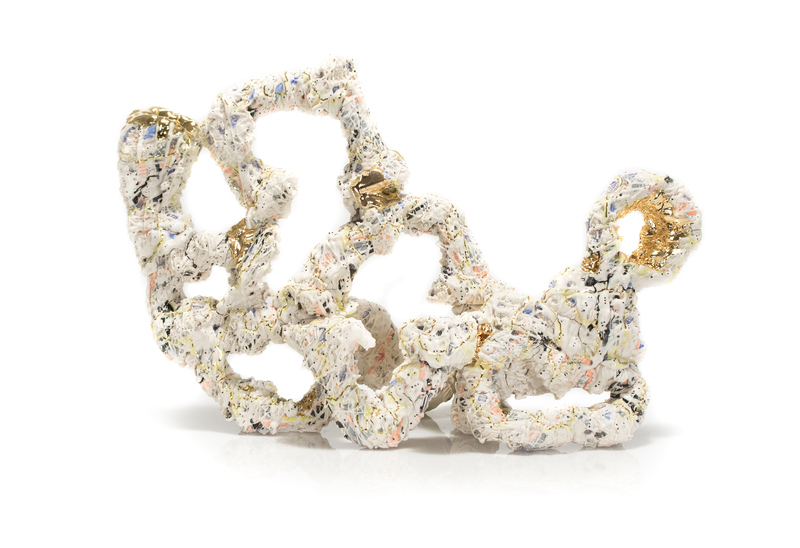 To this extent he collaborates with other artists, seeks inputs and critical feedback for problem solving or in the fabrication of unique construction elements and he even incorporates discarded bits of other artists’ work to achieve what he calls sampling; capturing continuous phenomena around us with periodic (ceramic) snapshots. His work thus becomes intertwined with the sentiments of those around him and links his concerns and ideas about the world to an immediate community in a tangible way. Castro’s originality has generated a global interest in his work. He has been awarded prizes and grants and has exhibited widely. 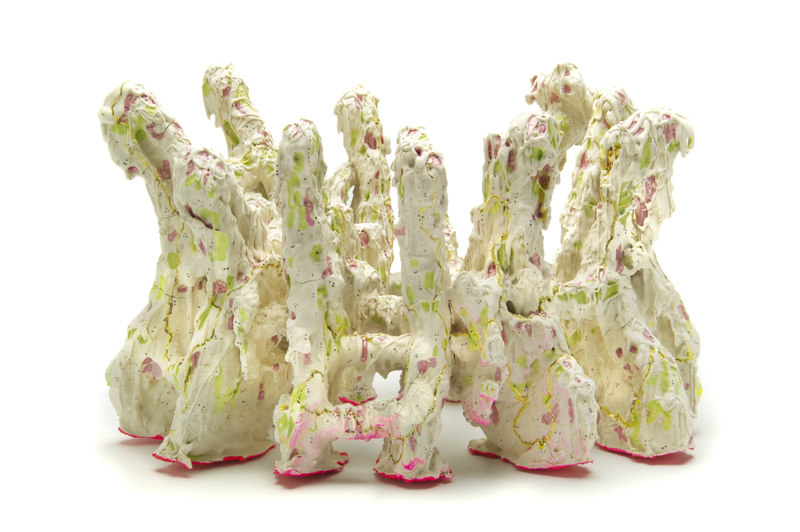 He combines his works as an artist with a post as Assistant Professor of Art at The University of Iowa where he teaches ceramics. This is the first time he is showing with Puls in Brussels.